Contest: win a FREE Easy Rest Classic Adjustable Bed. 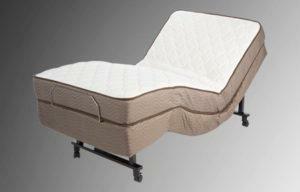 win a FREE Easy Rest Classic Adjustable Bed. Prize: Prize: For each monthly sweepstakes – One (1) Easy Rest Classic Model, any size (twin, full or queen) electric adjustable bed equipped with optional heat and massage, includes Free Delivery and Installation. Estimated minimum retail value $1,849.00. Statistics: This contest was opened by 28 and entered by 2 ContestChest.com members. 7% of those who opened the contest, entered it.